Third-year missioner Kitzi Hendricks continues to reflect on her experience of finding community in Bolivia. “Community is a sign that love is possible in a materialistic world where people so often either ignore or fight each other. It is a sign that we don’t need a lot of money to be happy–in fact, the opposite.”– Jean Vanier. Throughout the past year, my small faith community here in Cochabamba little community has been centered around and strengthened by the presence of Saraí, the daughter of Jhovana and Fidel. Saraí is a miracle baby. She was born two months premature and, with life-threatening complications, neither Jhovana nor Saraí were expected to live. Just over one year later, mama and baby are living life to the fullest and the family could not be more of an inspiration to the local community. Each week, I have the blessing of watching Saraí develop and grow into a smart, curious, and happy baby. We laugh when she laughs with her two bottom teeth showing. We take turns leading her around the patio as she develops her muscles for walking. We smile when she smiles. What is amazing, however, is the impact that this little girl and her family have had on their greater community. 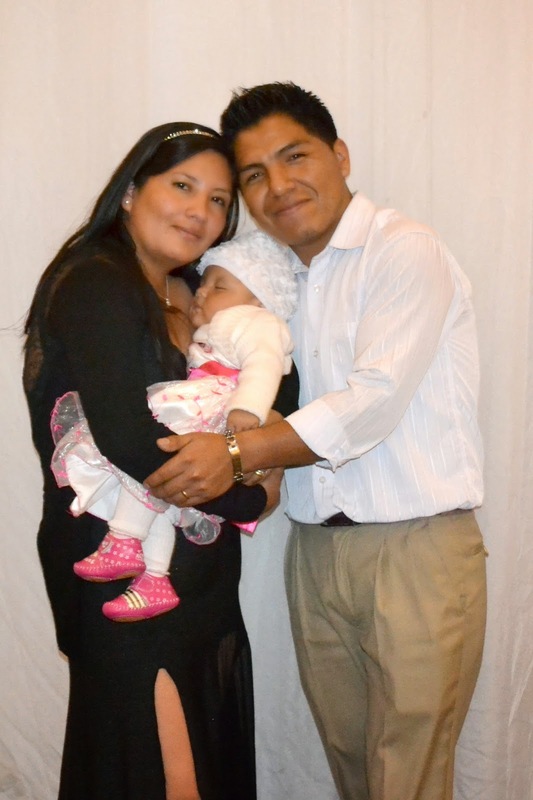 In January, Saraí was baptized at the chapel of Nueva Vera Cruz—the community where Jhovana works. It offers a before- and after-school program for the children in the local neighborhoods, providing homework help, activities, and food for each child. Many of their parents either work all-day long selling in the marketplace or the children come from broken families where alcoholism and domestic violence envelop their home lives. I hear new stories each time that I go to the chapel. Children are frequently abandoned and new fights break out between the adults in their lives. Some of the teenagers are even kicked out of the house due to the problems in the families. Regardless of their home-lives, every child and youth in the community supported Saraí at her baptism, offering their presence as a testimony to the love and support that Saraí and her family provide for their community. The same occurred for Saraí’s first birthday, just over a week ago. Amidst such brokenness, Jhovana and Fidel are models of a different type of story—a story of love, respect, togetherness, and support. They are a breath of new life and a living example of the honesty and fidelity that is absent in the lives of the children in the community. Through their active presence, they demonstrate what it means to care for and love a child and one another. They demonstrate how the love they share for one another and for their faith radiates into the local community and works to serve. Whether or not they recognize it, through their love, their friendship, and their presence, they are influencing the life of each child, each parent, and each community member. I am blessed to consider them family and to be a part of their community.